When is the best time to travel to Uzbekistan? 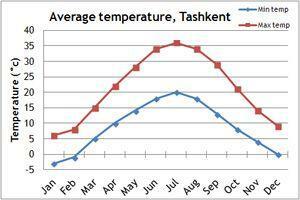 Our climate charts will give you an idea of the weather conditions in Uzbekistan. Uzbekistan has an extreme continental climate, with freezing temperatures in the winter followed by a mild, rainy spring. Summers are long, hot and dry and autumn brings light frost. 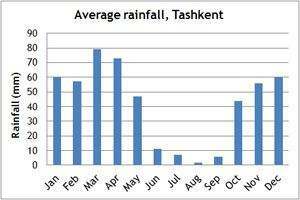 The best time to visit Uzbekistan is in spring (mid March to May) or autumn (September to early November), thus avoiding the extreme temperatures, making long journeys more comfortable. If you can't make the dates of our group departures, then take a private departure on dates to suit you, or we can create a Tailor Made holiday to Uzbekistan, especially for you and your family or friends.